(Issue 40) We don't send spam. We don't give out your email address. Birmingham Whisky Club are hosting a masterclass of beautiful barrel-aged bourbons at The Church, JQ, tonight. 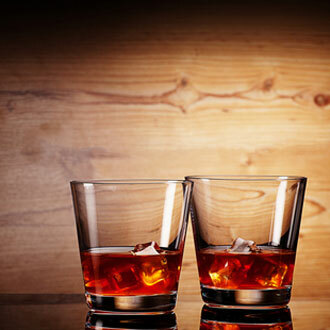 Whisky, whiskey and bourbon experts will talk you through five of the American South's finest tipples including White Dog, Benchmark, Buffalo, Eagle Rare and our personal favourite Stagg Jr. Tickets cost £25 and include a corking burger courtesy of the Soul Food Project. Buy here. 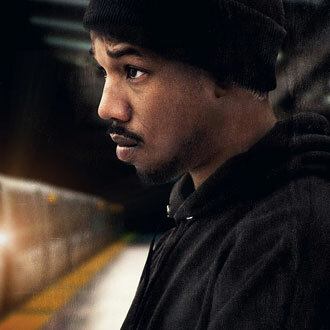 Fruitvale Station, a harrowing true story, is hardly America's finest hour, but as a piece of filmmaking it's immense. Unscreened in Birmingham until now and with just two showings at The Electric, this acclaimed Sundance hit follows the last day of Oscar Grant, who was wrongfully killed by a transit police officer on New Year’s Day 2009. It’s a devastating but essential watch. Trailer here. Tickets here. 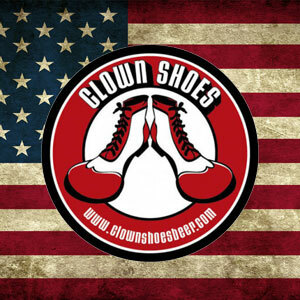 "Pint of Clown Shoes, landlord." The opportunity to say these words won't come around often. From 5pm today Brewdog's tap takeover sees 13 US craft ales available, including Clown Shoes Brewery's Belgian strength Muffin Top (Massachusetts, 10%). The guys behind Peel & Stone are cooking ribs - they won Grillstock 2014 with this sauce - while Lil's Parlour have cupcakes covered. 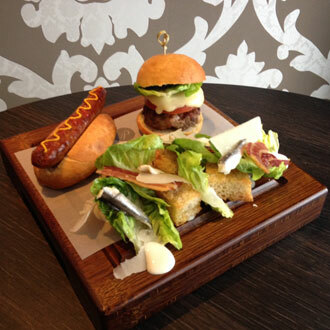 Purnell's Bistro are doing an Independence Day special platter that includes a mini spicy lamb merguez hot dog, a slider-sized version of Glynn Purnell's own recipe burger (half pork, half beef), a caesar salad with crispy bacon and anchovies, plus a bottle of Bud. It's available today (July 4) only and will set you back just £10. Put the money you save towards a post-meal, off menu Manhattan. 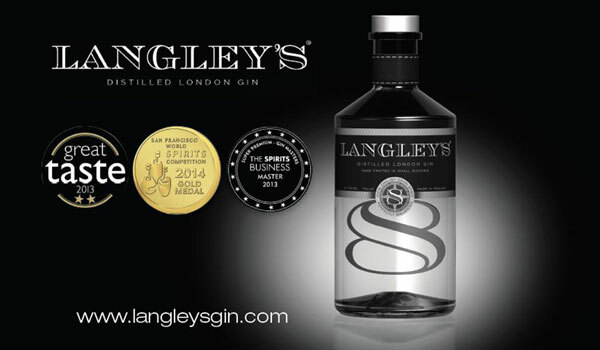 We like a wine with a talking point (see last week's email) so step forward the Selfridges-stocked Boom Boom, £22.99. While California dominates US wine production, there are exquisite wines being made further north in Washington State, where the cooler climate makes for more European flavours. 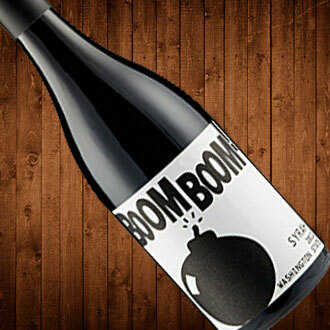 Boom Boom is a full bodied, spicy Syrah that's desperately seeking a barbecue for companionship. Help it out. Alex Ross is widely considered to be one of the most pre-eminent and well-respected comic book artists in the history of the field. 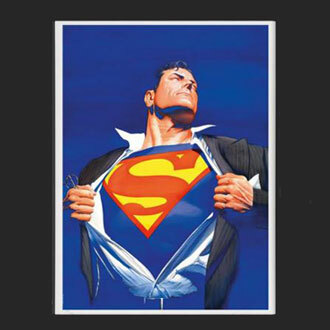 Anyone with an iota of interest in the world of DC comics should stop in at Castle Fine Art Gallery where you'll find stunning Superman and Batman prints priced from £695 up to £1050. Check out other examples of his work here, all of which are on display right here. 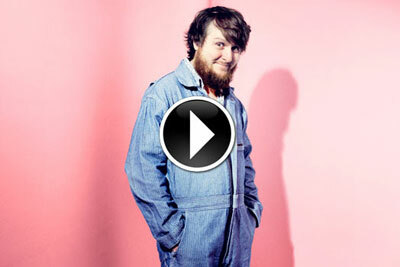 There are two kinds of people in the world: Those who like stand up comedy and those who haven't seen Tim Key yet. Both should buy tickets to his guaranteed-to-sell-out, one night only set at The Glee Club, October 14. The man behind Alan Partridge's "Sidekick Simon" and star of Charlie Brooker's Newswipe will climb into his poetry clothes (pictured, comfy) and regale us with his prose. Check out this NSFW poem about bankers, then book tickets (just £15). Do so urgently to avoid the crushing disappointment life consistently throws at every single one of us. 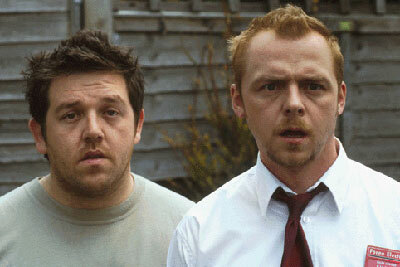 The Giant Screen at Millennium Point is celebrating the 10th anniversary of classic Brit-flick Shaun of the Dead with a night dedicated to the rom-zom-com and its companion films Hot Fuzz and The World's End. The comedies - collectively known as The Three Flavours Cornetto Trilogy - propelled Simon Pegg, Nick Frost and director Edgar Wright to superstardom and will be shown back-to-back, tomorrow (Saturday July 5), on the biggest independent screen in the UK. Needless to say you don't have to watch all three, just show up for the one you want. Tickets (£6) here. SURVIVE A MONSOON. IN BRINDLEYPLACE. We went to visit The Ikon Gallery's latest exhibition: As Exciting As We Can Make It and you should too. Or not, whatever. Nobody's forcing you. This stunning selection of paintings, sculptures, films and photography, much previously shown at Ikon during the 80s, reviews a pivotal decade for the gallery. Pick of the lot is, surely, Charles Garrad’s Monsoon (1986). 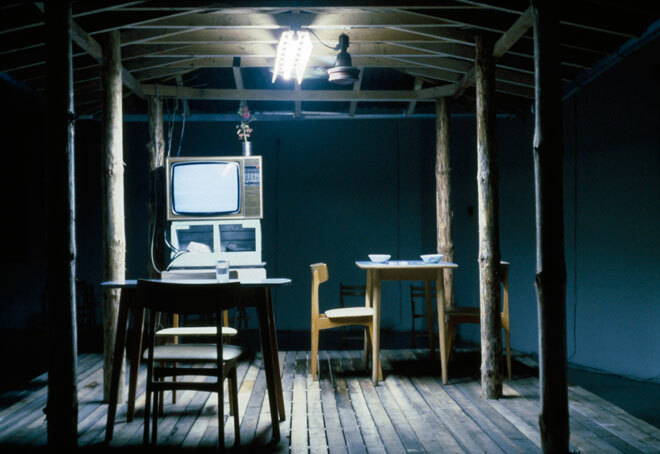 In a room is a small building, set out as a restaurant somewhere in South East Asia, with an ominous TV repeating a degraded image of a car pulling up and people getting out. A ceiling fan rotates slowly while water hammers on the tin roof and through the drains. This is eerie, immersive stuff and we haven't even come close to telling you the most unnerving part. Visit. Malmaison have just started serving their new and quite honestly spectacular summer classics menu. The GM heartily advised the chilled gazpacho of crab, chopped spring onion, cucumber, avocado and chilli starter (£8.50), followed by the rump of west country lamb, crushed peas, broad beans & marjoram jus vinaigrette. The stunningly light gazpacho was a lip-smacking thwack of summer served with a pinch of theatre, while the tender as anything lamb was cooked to a tee. The marjoram vinaigrette was the Lionel Messi of the meal, lifting a really good dish into the stratosphere. 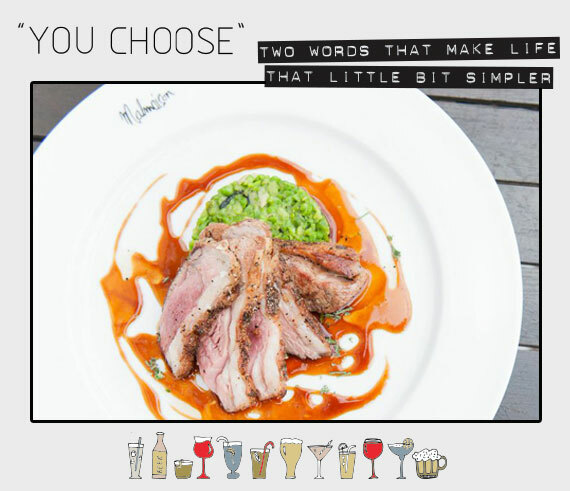 Pair the lamb with their Malbec, that's an order. Full new menu here, and more dish pics here.